OzStar CEO attended the 4th Microbiome Congress held in San Diego, CA. at University of Massachusetts, Boston. Chinese Patent Office has granted OzStar Therapeutics first patent. 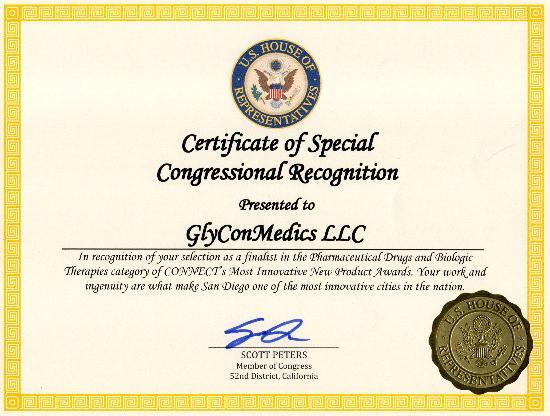 United States Patent and Trademark Office has granted OzStar Therapeutics first patent. Houston, Los Angeles, New York and San Francisco. OzStar's phase 2 clinical trial has been approved by a Human Research Ethics Committee in India. OzStar's phase 2 clinical trial has been approved by a Human Research Ethics Committee in Australia. IP Australia has granted OzStar Therapeutics first patent. Professor Lesley Campbell has joined OzStar’s scientific advisory board. Dr Ivan Rajkovic has joined OzStar’s scientific advisory board. 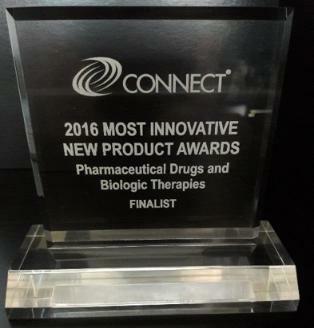 OzStar Therapeutics has initiated its proof of concept clinical trial. OzStar Therapeutics has secured its first round of Angel Investments. Professor Anthony Barnett has joined OzStar’s scientific advisory board. OzStar Therapeutics has received its proof-of-concept grant from The Australian Government to further develop its product and services. OzStar CEO attends Australia Week in China 2014 Conference organized by AusTrade to initiate dialogues with Chinese entities. OzStar has signed terms sheets with two world-leading entities to further develop its anti-diabetes tablet. Professor C. Ronald Kahn Chief Academic Officer of Joslin Diabetes Center, Boston has joined OzStar’s scientific advisory board. 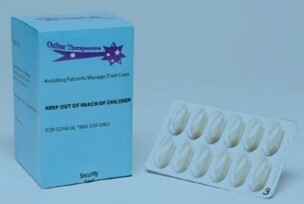 OzStar Therapeutics has manufactured its first GMP tablet OZ101 to conduct its proof-of-concept clinical trial. Professor Sanjoy Paul has joined OzStar’s scientific advisory board. Professor Tim Hirst has been appointed as company chairman of the board. received “No Prior Art” and “All claims are novel and inventive” notice on patentability from World International Patent Organization Authority. and “All claims are novel and inventive” notices on patentability from IP Australia International Search Report Authority. 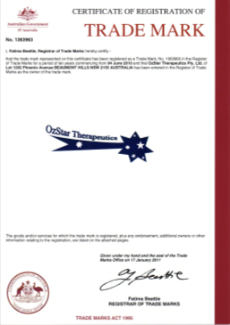 OzStar Therapeutics trade mark registration No 1363963 was successful and accepted by IP Australia. Dr Nick N Gorgani and Ms. Mahnoosh Afkham have been appointed as the company Managing Director and Secretary, respectively. OzStar Therapeutics has been founded by Dr Nick N Gorgani and Ms. Mahnoosh Afkham.